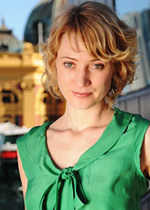 Born and raised in New Zealand, Meg has lived in Melbourne, Australia, since 1996. She has a BA in psychology & philosophy (Victoria University of Wellington), an MA in creative writing (University of Melbourne) and a Diploma in professional writing & editing (RMIT). She has worked as researcher, university lecturer, travel book writer, magazine editor, policy advisor, nightclub DJ and ventriloquist's assistant.